Many Christians are involved in science and John D. Barrow is one of the leaders of science today. John D. Barrow was born in London in 1952 and attended Ealing Grammar School. He graduated in Mathematics from Durham University in 1974, received his doctorate in Astrophysics from Oxford University in 1977 (supervised by Dennis Sciama), and held positions at the Universities of Oxford and California at Berkeley before taking up a position at the Astronomy Centre, University of Sussex in 1981. He was professor of astronomy and Director of the Astronomy Centre at the University of Sussex until 1999. 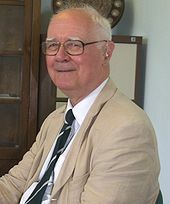 He is the author of 325 scientific articles in cosmology and astrophysics, and is a recipient of the Locker Prize for Astronomy and the 1999 Kelvin Medal of the Royal Glasgow Philosophical Society. He was awarded an honorary Doctor of Science degree by the University of Hertfordshire in 1999. He recently held a Senior 5-year Research Fellowship from the Particle Physicsand Astronomy Research Council of the UK. In July 1999 he took up a new appointment as Research Professor of Mathematical Sciences at Cambridge and Director of the Millennium Mathematics Project, a new initiative to improve the understanding and appreciation of mathematics and its applications amongst young people and the general public. He is the author of 15 books, translated into 28 languages, which explore many of the wider historical, philosophical and cultural ramifications of developments in astronomy, physics and mathematics: these include, The Left Hand of Creation (with Joseph Silk), The Anthropic Cosmological Principle (with Frank Tipler), L’Homme et le Cosmos (with Frank Tipler), The World Within the World, Theories of Everything, Pi in the Sky: counting, thinking and being, Pérche il mondo è matematico?, The Origin of the Universe, The Artful Universe, Impossibility: the limits of science and the science of limits, Between Inner Space and Outer Space and The Book of Nothing. His most recent book, The Constants of Nature:from alpha to omega has just been published by Random House. He has written a play, Infinities, which was performed (in Italian) at the Teatro la Scala, Milan, in the Spring of 2002 under the direction of Luca Ronconi and in Spanish at the Valencia Festival. He is a frequent lecturer to audiences of all sorts in many countries. He has given many notable public lectures in many countries, including the 1989 Gifford Lectures, the George Darwin and Whitrow Lectures of the Royal Astronomical Society, the Amnesty International Lecture on Science in Oxford, The Flamsteed Lecture, The Tyndall Lecture, The RSA Christmas Lecture for Children, and theSpinoza Lecture at the University of Amsterdam. John Barrow also has the curious distinction of having delivered lectures on cosmology at the Venice Film Festival, 10 Downing Street, Windsor Castle and the Vatican Palace. scientists’ job is to uncover and not invent them. less gases to life, consciousness and intelligence? This article is about the English theoretical physicist John David Barrow. For other uses, see John Barrow (disambiguation). John David Barrow FRS (born 29 November 1952) is an English cosmologist, theoretical physicist, and mathematician. He is currently Research Professor of Mathematical Sciences at the University of Cambridge. Barrow is also a writer of popular science and an amateur playwright. Barrow attended Barham Primary School in Wembley until 1964 and Ealing Grammar School for Boys from 1964–71 and obtained his first degree in mathematics and physics from Van Mildert College at the University of Durham in 1974. In 1977, he completed his doctorate in astrophysics at Magdalen College, Oxford, under Dennis William Sciama. He was a Junior Research Lecturer at Christ Church, Oxford, from 1977–81. He did two postdoctoral years in astronomy at theUniversity of California, Berkeley, as a Commonwealth Lindemann Fellow (1977–8) and Miller Fellow (1980–1). In 1981 he joined the University of Sussex and rose to the rank of Professor and Director of the Astronomy Centre. In 1999, he became Professor in the Department of Applied Mathematics and Theoretical Physics and a fellow in Clare Hall at Cambridge University. He is Director of theMillennium Mathematics Project. From 2003–2007 he was Gresham Professor of Astronomy at Gresham College, London, and he has been appointed as Gresham Professor of Geometry from 2008–2011; only one person has previously held two different Gresham chairs. 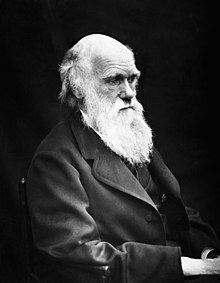 In 2008, the Royal Society awarded him the Faraday Prize. In addition to having published more than 480 journal articles, Barrow has coauthored (with Frank J. Tipler) The Anthropic Cosmological Principle, a work on the history of the ideas, specifically intelligent design and teleology, as well as a treatise on astrophysics. He has also published 17 books for general readers, beginning with his 1983 The Left Hand of Creation. His books summarise the state of the affairs of physical questions, often in the form of compendia of a large number of facts assembled from the works of great physicists, such as Paul Dirac and Arthur Eddington. Barrow’s approach to philosophical issues posed by physical cosmology makes his books accessible to general readers. For example, Barrow introduced a memorable paradox, which he called “the Groucho Marx Effect” (see Russell-like paradoxes). Here, he quotes Groucho Marx: “I wouldn’t want to belong to any club that would accept me as a member”. Applying this to problems in cosmology, Barrow states: “A universe simple enough to be understood is too simple to produce a mind capable of understanding it.” That is, the better we understand the problem, the more likely it is to be oversimplified. Conversely, the closer we get to a description of reality, the more complex and incomprehensible the description becomes. There would be few if any fields of study in which this paradox does not apply. Barrow has lectured at 10 Downing Street, Windsor Castle, the Vatican, and to the general public. In 2002, his play Infinities premiered in Milan, played in Valencia, and won the Premi Ubu 2002 Italian Theatre Prize. He was awarded the 2006 Templeton Prize for “Progress Toward Research or Discoveries about Spiritual Realities” for his “writings about the relationship between life and the universe, and the nature of human understanding [which] have created new perspectives on questions of ultimate concern to science and religion”. He is a member of a United Reformed Church, which he describes as teaching “a traditional deistic picture of the universe”. Jump up^ “Durham graduate wins $1M prize”. University of Durham Department of Physics. 20 March 2006. Retrieved 2007-11-24. Jump up^ Gresham College: New Gresham Chair of Geometry. Jump up^ Barrow, John D (1990). The World Within the World. Oxford: Oxford University Press. pp. 342–343. ISBN 0-19-286108-5. Jump up^ Lehr, Donald (2006-03-15). “John Barrow wins 2006 Templeton Prize”. templetonprize.org. John Templeton Foundation. Retrieved 2013-08-08. Jump up^ Overbye, Dennis (16 March 2006). “Math Professor Wins a Coveted Religion Award”. New York Times. Retrieved 2007-11-24. Living in a Simulation, 2003. Remember the famous Warren v. Flew debate of 1976?